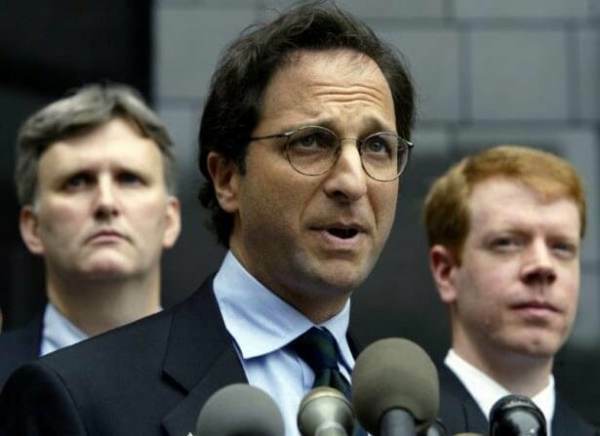 Deep State Leader Weissmann Steps Down from Mueller Probe -- Two Days Before AG Barr's Report on Weissmann Is Due Out ...Update: Pushed Out by Barr? Deep State Leader Weissmann Steps Down from Mueller Probe — Two Days Before AG Barr’s Report on Weissmann Is Due Out …Update: Pushed Out by Barr? Top Mueller prosecutor, Deep State hack and Hillary Clinton supporter Attorney Andrew Weissmann will soon leave the office and the Justice Department, two sources close to the matter tell NPR. It is worth repeating… Special Counsel Robert Mueller has given no indication that he intends to release an honest report. And last week Rep. Devin Nunes (R-CA) told Maria Bartiromo on Sunday Morning Futures. Nunes discussed the recent letter Freedom Caucus members Rep. Mark Meadows (R-NC) and Rep. Jim Jordan (R-OH) sent to Attorney General Bill Barr. According to Rep. Nunes Attorney General Bill Barr has until March 15th to respond to their requests. AG Barr Has Until March 15 to Disclose Information on Andrew Weissmann and Zainad Ahmad’s Conflicts on Special Counsel. UPDATE: Jack Posobiec says Weissmann was pushed out by Attorney General Bill Barr.